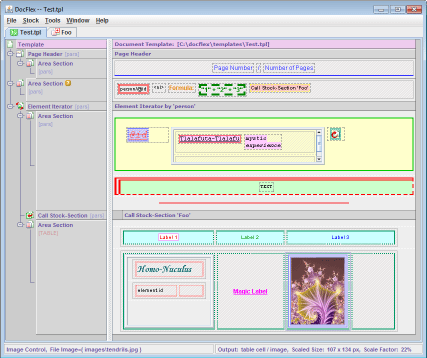 FlexDoc templates can be considered as a sort of computer programs, containing instructions interpreted by FlexDoc Generator. Such instructions are specified in the form of template components. 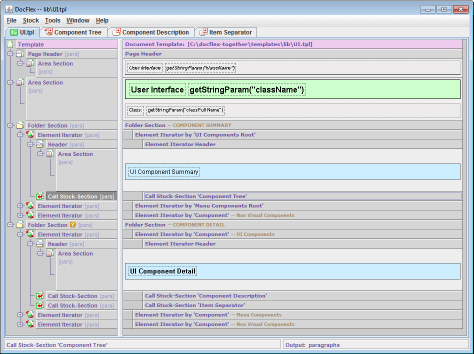 Template components are the building blocks of templates and visualized in FlexDoc Template Designer. 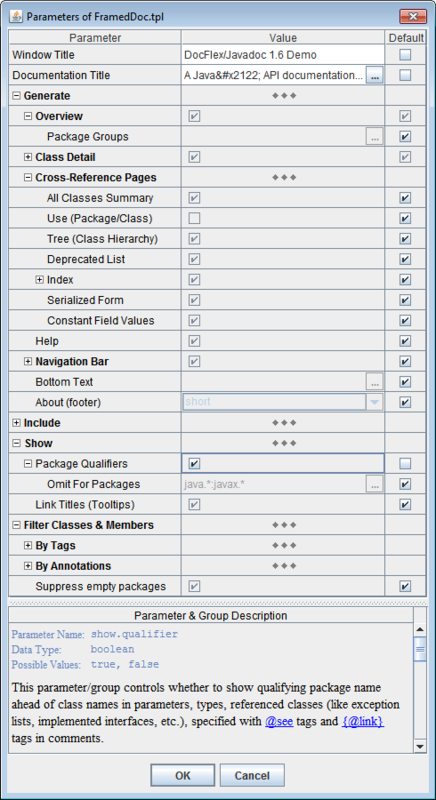 Almost everything you can see on the following screenshot depicts some template components. 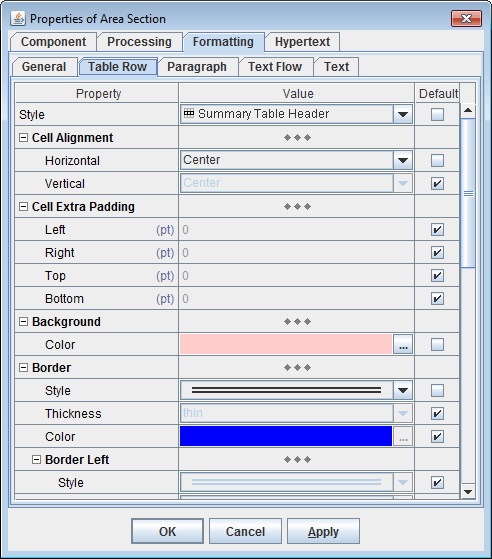 The interpretations of template components as well as their appearance in the Template Designer can be adjusted with component properties. Some of the component properties, however, can be calculated dynamically depending on the data being processed. 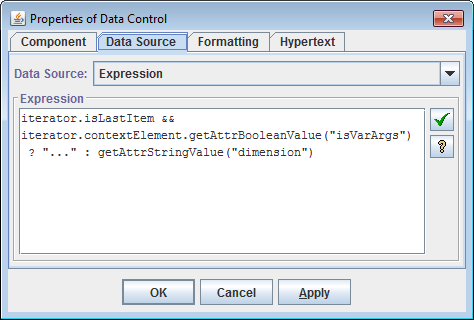 Such dynamic properties are specified using FlexQuery-expressions. 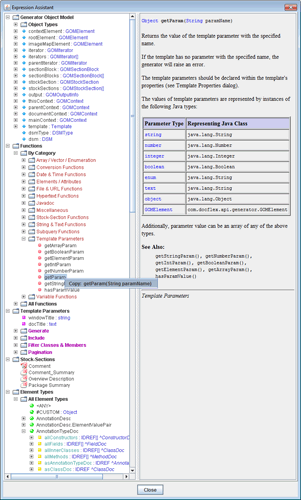 which provides a lot of information about everything that can be used in the expression: all available utility functions, generator variables, template parameters, XML-elements and XML-attributes. This information is always up-to-date since it is obtained not from the static help files but collected dynamically from all available resources. 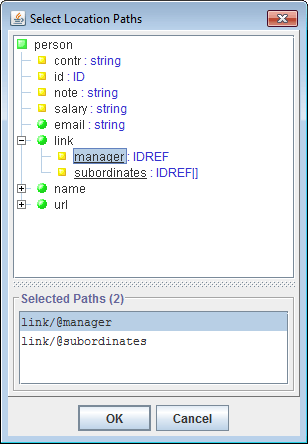 Here is also possible to select the necessary identifier and insert it directly into the edited expression. or passed programmatically, using FlexDoc API. 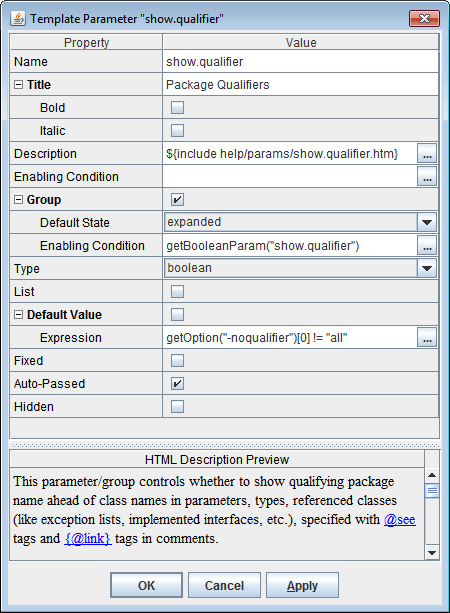 Within the template, the passed parameters can be accessed using FlexQuery-expressions. The small repeatable fragments of a template can be designed only once and, then, be put into the special template part called Template Stock in the form of stock-sections. Such stock-sections can be called many times from the different template's locations and even from within themselves. Each stock-section call produces the same fragment of the output document as if the stock-section's content was in the place of its call. 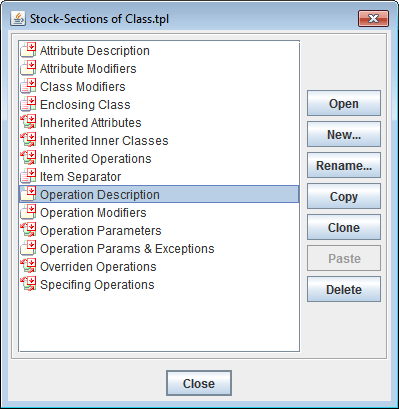 Stock-sections can be considered as an equivalent of procedures in a typical programming language. For more information, see documentation: Template Components, Stock-Sections, Call Stock-Section. Using a set of specifically designed templates, to generate any number of logically connected documents, whose creation, names and locations can be controlled by the processed data. In particular, this allows to generate a framed (HTML) documentation. To create a library of subtemplates which can be reused many times by calling them from the different application templates. This may help to reduce the project development time as well as to simplify its further maintenance and modifications. 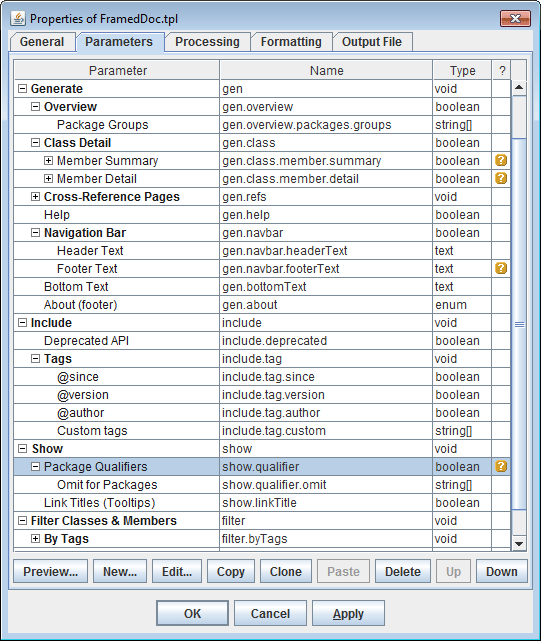 To generate single (RTF) documents containing section with their own sets of page header/footer. For more details, see documentation: Template Components | Call Template.